We at Michiana fish services specialize in providing variety of aquarium maintenance and management services to the clients. We have a separate group of workforce for each service to reduce the workload of our employees. We are quite expertise in aquarium installation which involve joining its different parts and to place the aquarium in a particular position in the house for easy eye grabbing of the visitors. Our workers are quite experienced in installing aquarium in both residential and commercial apartments. 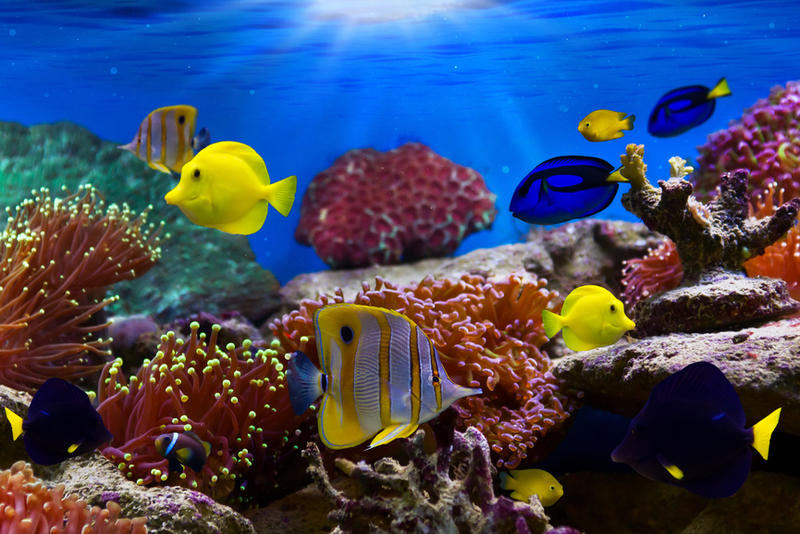 Aquarium installation also involves forming sufficient roaming space for the fish to move freely as well as proper supply of oxygen for easy breathing of the fish. Our workers are quite experience as they have the idea of water level of easy floating of the fish. Clients have the option of visiting our site to request for the service. Our firm for the benefit of the client always forward advance cost estimation to the clients. Our service charge is entirely based on working durations and our workers are strictly prohibited to charge extra for completion of the work within the stipulated time period. In case of any service dissatisfaction we send our workers again to the spot to fix the problem and client during that has to pay no service charge to our workers. 1. Washing of aquarium: Our workers while fixing any aquarium thoroughly wash the aquarium rocks, gravel and other decorative items with special chemical detergent. They do use any soap because that might affect the health of the fishes. After completely removing the waste and dirt materials then they place the empty aquarium in any suitable position of the house. 2. Adding of water: After placing the washed aquarium on the favorable position our workers now began to add water in the empty vessel from a fresh and clean bucket. The water must have the room temperature for proper adjustment of the fishes. 3. Connecting air pipes: Our workers then skillfully install air pipes for proper breathing of the fishers in the aquarium. They ensure that the circulation of air is free from any obstacle. Obstacle in the passage of air may cause breathing problem for the fishes. 4. Covering the aquarium: Ultimately our workers place a protective shield above the aquarium so that the fishes do not escape from it at any cost. To know more clients have the option of visiting our site anytime.